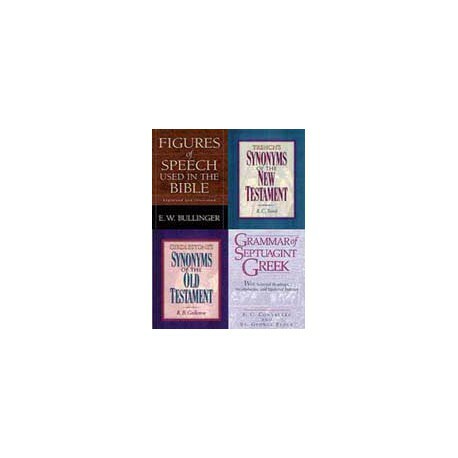 Figures of Speech: Figures of Speech Used in the Bible is an extensive reference book and study guide for serious Bible students. Written by famous theologian E.W. Bullinger, this dictionary of phrases classifies them into three distinct divisions: figures involving omission, addition, and change. He further breaks down whether figures affect the words themselves, the sense, meaning, order, or application of words. It includes both Greek and English translations of the figures in question, examples and illustrations, a detailed table of contents, appendices, and several indexes, including indexes of figures in both Greek and English, of subjects, structures, and texts, and of Hebrew and Greek words explained. This comprehensive study tool should be considered necessary for any serious Bible student or theologian. Trench's Synonyms of the New Testament: This work was first published in 1854 by Trench, an Anglican archbishop at Dublin. It has been in print nearly all the time since. Trench had a genius for understanding Biblical Greek, and the proper synonyms of the same. 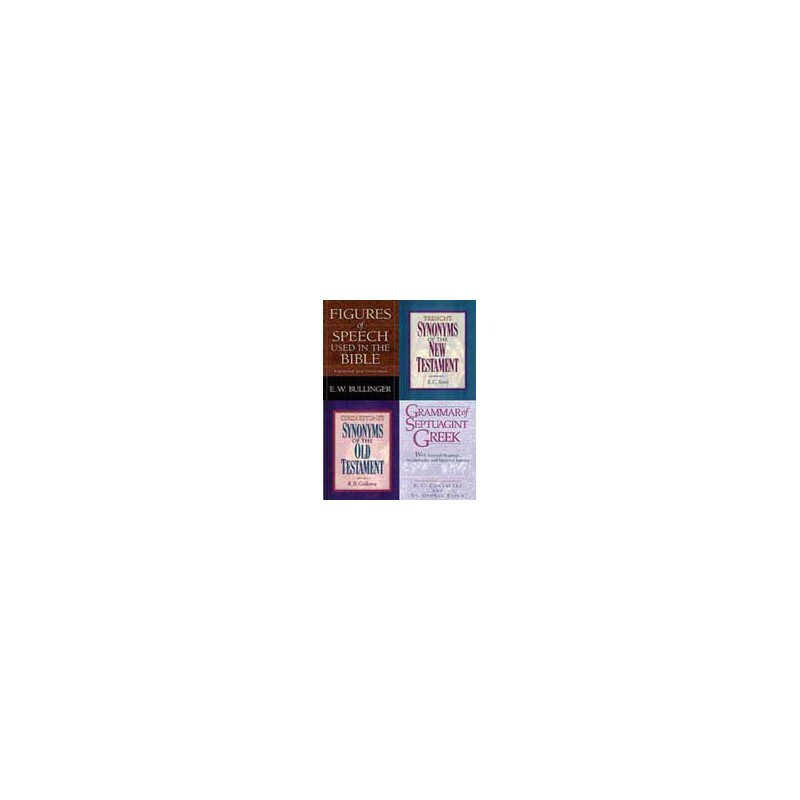 He was able to express himself in a way that is easily understood and this shows through the pages of this work which compares well to modern-day word study references. A thorough discussion is given of the meaning and use of each of 117 sets of Greek word synonyms. Comparisons between words are detailed and explanations given as to why they are used in various parts of the Bible.The Greek of the Septuagint is used to draw comparisons to Hebrew words and how their subtle meanings have been translated. To view an introduction video and read excerpts from The Biblical Languages Study Collection, please select the product page by clicking either Old Testament or New Testament.